Ideal for a relaxed holiday with a personal service. 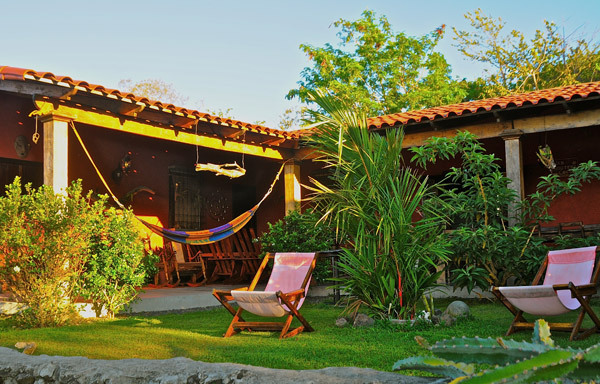 The B&B Casa rural Aroma de Campo offers a distinctive blend of a charming hacienda style main house and a new modern eco-friendly aspect with a personal service. The main house contains our 6 standard rooms and our 6 superior rooms are shipping containers transformed as private cabins. 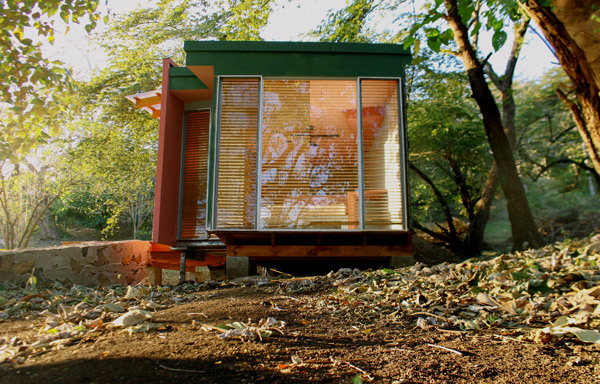 We combine outdoor relaxation and sustainable style. 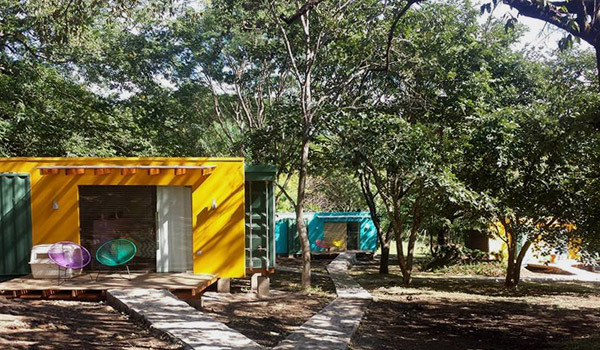 Artfully and simply decorated, these container cabins feature colorful interiors and bright daylight-filled windows. No better place to hear the peaceful sound of the singing birds and trees. Our place can’t be compared with the All Inclusive hotels. We don't have any animation, no crowd to get you going but a lot of tranquility. 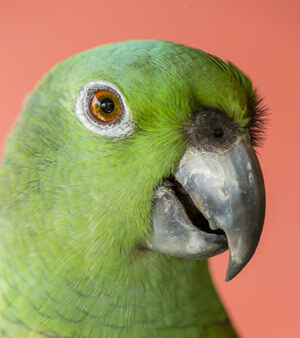 The only animation we have are our dogs “Lola” & “Liberty" and our parrot “Koki and they are part of the B&B. Koki thinks he's the wake—up call and can be entertaining early in the morning. If your intention is to relax and enjoy a holiday with personal service where you feel at home and you don't mind our pets, you've come to the right place. 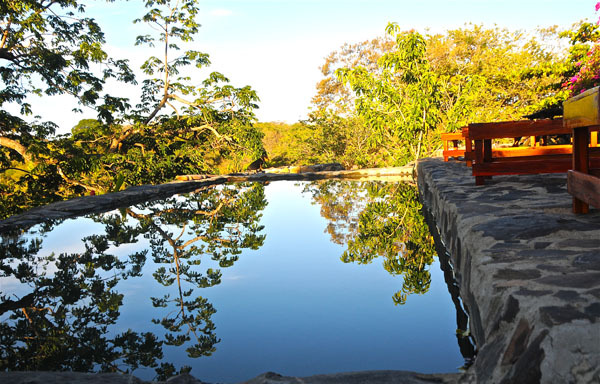 Located close to the main entrance las pailas of the national park Rincon de la Vieja, Casa Rural Aroma de Campo is the perfect setting for your next retreat or outing. 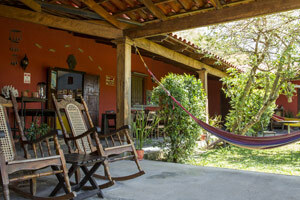 The casa rural is located between the small village Curubande an the national park Rincon de la Vieja and surrounded by forests and ripling rivers. 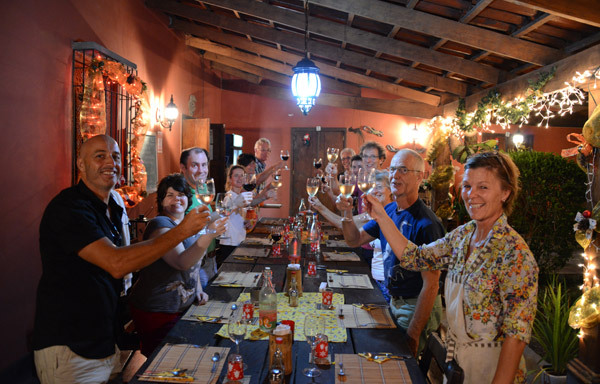 Walk out the doors of the inn to enjoy hiking, horseback riding, mountain biking and exploring the beautiful nature, vulcanic activity and wildlife of the Rincon de la Vieja volcano. 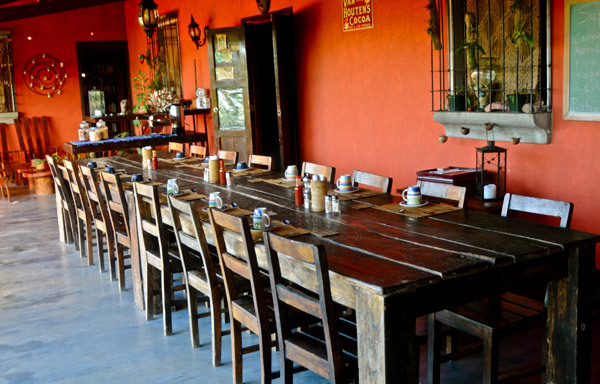 Our place is the perfect start to go visit the nearby Santa rosa national park, Bahia Salinas with his unexplored beaches and for daytrips to Nicaragua.